All repairs done on-site, normally within the first visit. Fully qualified and licensed technicians. All repairs are covered by a written warranty. Fully stocked service vans servicing all suburbs. In excess of 30 years experience in the refrigeration industry. 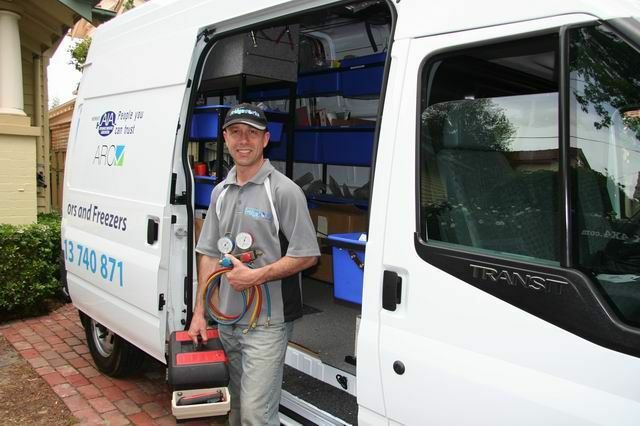 ARC (Australian Refrigeration Council) accredited and authorised repairer. Refrigerant Trading Authorisation No. AU17934. Member of the Victorian Appliance Industry Association. All appliances are inspected and tested to Australian & New Zealand Standards AS/NZ 3760:2010. There is never a good time for a fridge or freezer to break down, but when they do, you know you can rely on Melbourne Fridgeworks to be there for you. In the event that your fridge or freezer breaks down and you are in need of emergency refrigeration service in Melbourne, we have professional on-call staff who can repair your fridge or freezer for you after hours and on weekends. Never stress about a refrigeration emergency again.